Print Cheap Full Color Decals - "Effective and Easy Way of Advertisement"
RegaloPrint is the name of quality printing solutions where you can get a wide range of products. Particularly our carefully crafted wall decals have no match in the local market in the terms of design, quality and price. Our real strength lies in three things; our professional team, latest technological tools and collaborative printing process where customers are fully engaged. This helps us print the most vibrant yet cheap decals with no compromise on quality. All you need is to contact our support team via live chat window and provide all necessary details about your desired product, and get it within a record time. 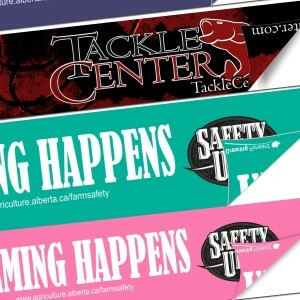 Quality of Decal Paper Printing in Canada! The most important thing about our printing services is the enhanced freedom of choice that we offer to our clients. This means our customers can make their printed decals as per their own selection of color, size, shape, design and printing process. 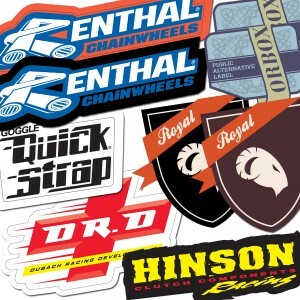 The shapes of printing decals can be round, rectangular, oval, square or die cut. We strongly believe in value-addition and hence offer multiple FREE value added services like; shipment, handling, lamination, aqueous coating and 24 hours vigilant customer support. Our latest printing machines deliver much reliable results and the product looks simply dazzling and good looking. Primarily there are two types of products in every category. First are taken as benchmarks or standard industry items that everybody gets and uses for the sake of business management or promotion. Unlike that, custom products are more focused, versatile, objective oriented and prove out to be more promotional in nature. We give you complete freedom to make any choice you intend to make to your products. In this regard, when you place the orders for simple or decal printing, we provide you custom quotes and FREE samples to help you make a better choice. If you are to decide from standard designs, we have a range of choice for you. Get your own standard and custom made decals in various shapes, where standard sizes range from 3" x 3", 5 "x 5", 6" x 6", 3" x 5", 10" x 3", to 9" x 3". In addition to this, we provide you variety of option in terms of raw material and printing process etc. 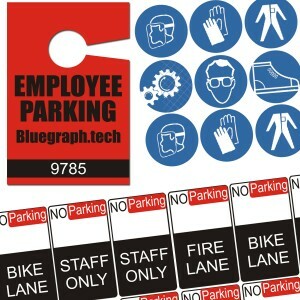 You can select between paper and vinyl decals and also choose your most favored printing process. 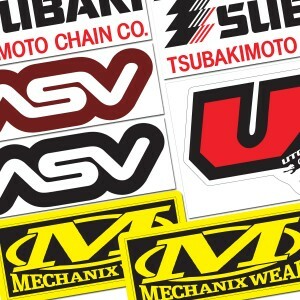 Finally, there are various types of decals that you can get printed here. 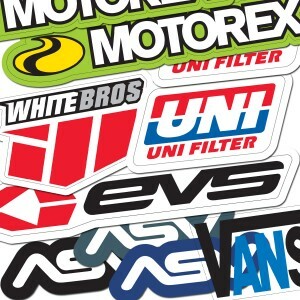 From window decals to helmet, car decals and parking decals, we have every solution for you. You can also order for some creative stuff like reflective decals, die-cut vinyl decals. For order placement and questions, you can always contact our vibrant customer support 24 hours a day. If you require any information that you do not find on this page, feel free to contact any time.